As cliché as it may be, there is, unfortunately, no denying the fact that I am a big fan of kale. I do, however, think that there are some other greens that deserve their time in the spotlight. Namely, I think we should give some love to collard greens. 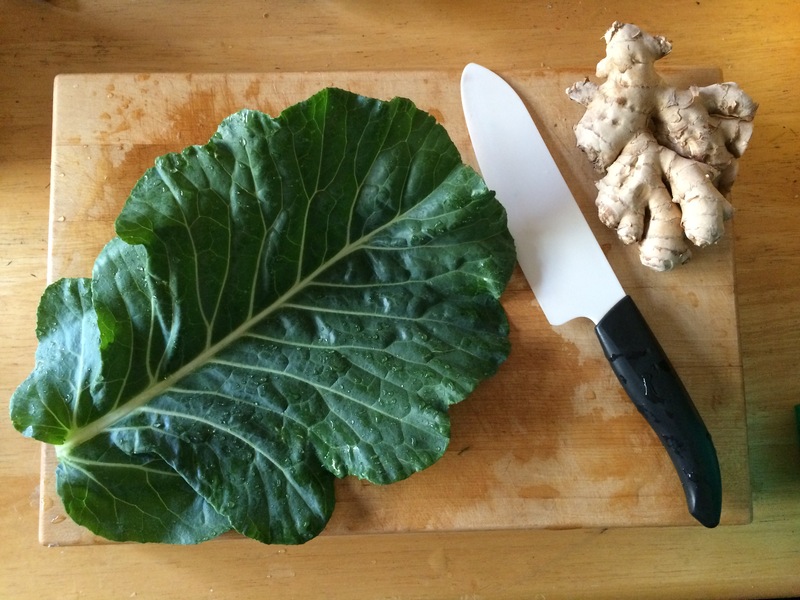 I fell in love with collards when I first tried Ethiopian food. Piled high on my injera-covered plate, right next to the mounds of Kik-Alicha (split peas simmered with turmeric and ginger) and Messer Wot (lentils cooked in berbere sauce) was a neat stack of gomen–sautéed collards. I often try to replicate the recipe at home by blanching the collards and then cooking them with onions. But aside from that, I wasn’t sure how else to prepare them. So, when I came across a recipe for a raw collard salad in Bon Appétit magazine last month, I was thrilled. 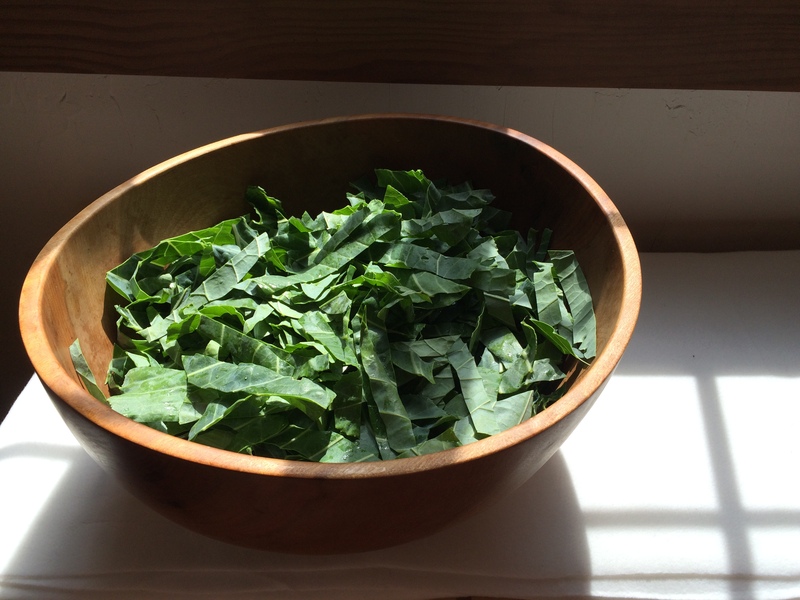 Place collards into a large bowl. In a small bowl, combine all other ingredients (save the sunflower seeds). Pour 2 tsp. of this dressing over the collards. Massage the dressing into the collards for roughly 30 seconds (until the collards become glossy). Drizzle the remaining dressing over the salad. What about you? Are you a fan of collards? How do you like to prepare them?